Why Choose Us For Your Metal Carport? You decide exactly how you want your metal carport to look. From the roof style to the metal color, we provide you with the options you need to make it your own. Not sure that you can afford a custom metal carport? 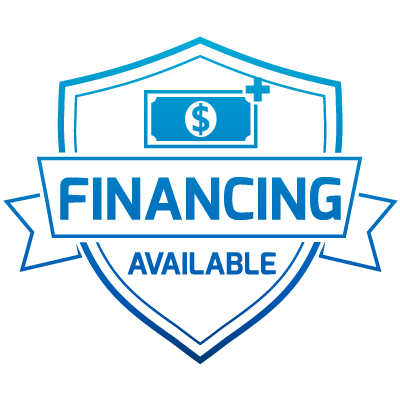 Talk to us about the financing options we have in select states. 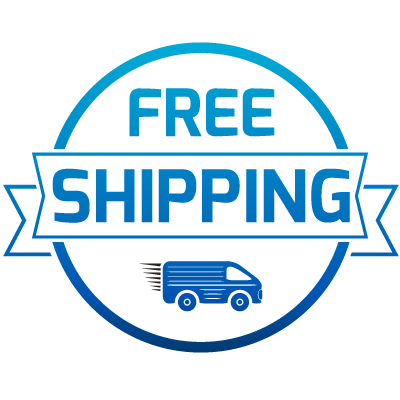 If you are in one of our service areas, we will deliver your metal carport for free. Not only that, but we will also provide expert installation. We will provide you with a no-obligation quote on your custom metal carport. Just reach out to our team for help. 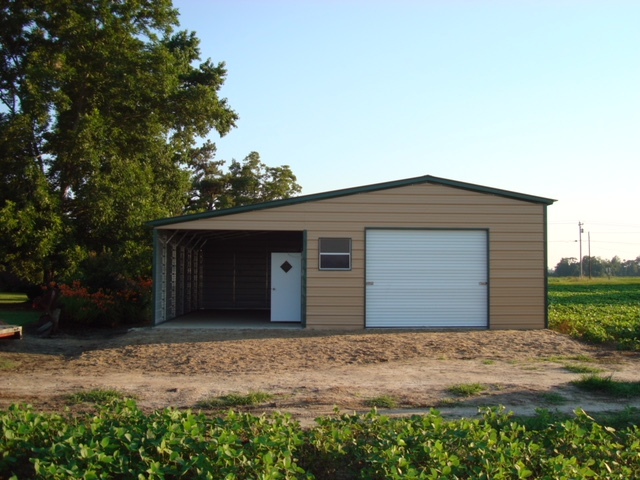 The metal carport is our namesake and the most simple of all our metal buildings. While carports may be simple, they have a variety of uses and can add value to your property while protecting your vehicle from nature’s elements. 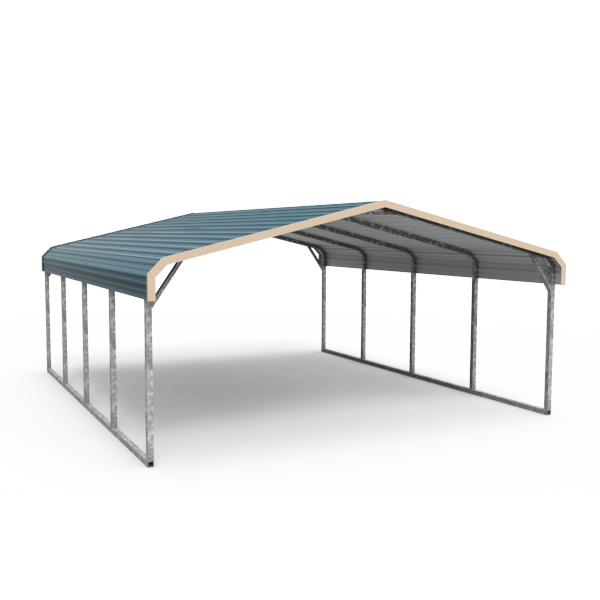 Metal carports can be used to provide a picnic area or to provide shade for your landscaping tools. 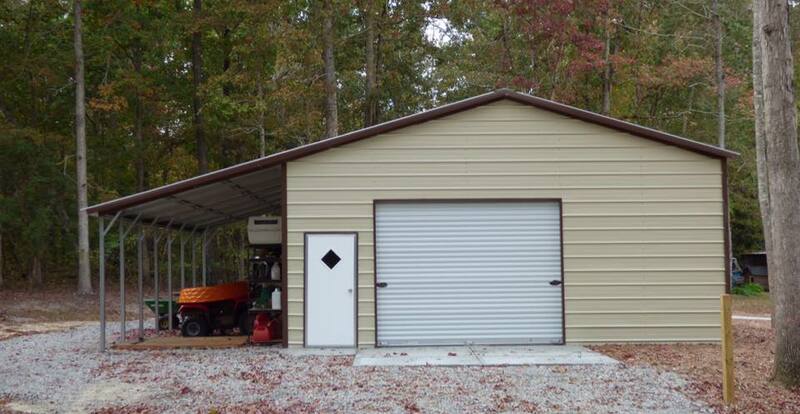 Carports can be added to any of our other metal garages and buildings or installed as a stand-alone building. Our carports can be custom made to fit your needs and designed to optimize curb appeal. 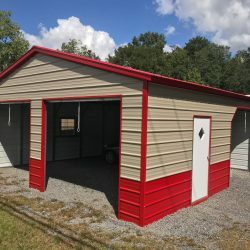 We offer a variety of options for our carport and metal buildings, including a variety of colors, and free color match. You may consider additional panels for the sides of your carport to keep the blowing rain off of your vehicles or equipment. With so many options to choose from, you’re sure to find the perfect metal carport for your needs. 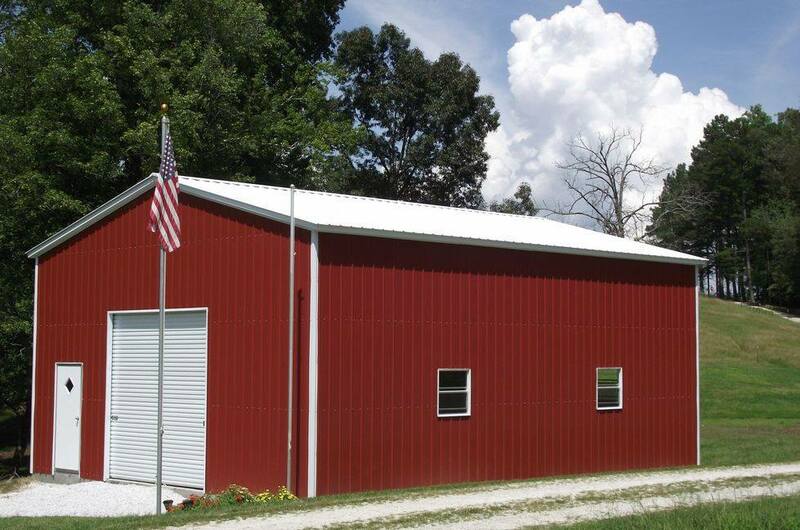 Call us to speak with one of our metal building experts today! When it comes to designing a brand new metal carport, the options can feel almost overwhelming. What kind of roof do you want? How big do you want the carport to be? These are all important questions to ask yourself. After all, when you invest in a brand new structure of any kind for your property, you want to get the most for your money. Here at Wholesale Direct Carports, we specialize in helping people customize the ideal structure for their needs. 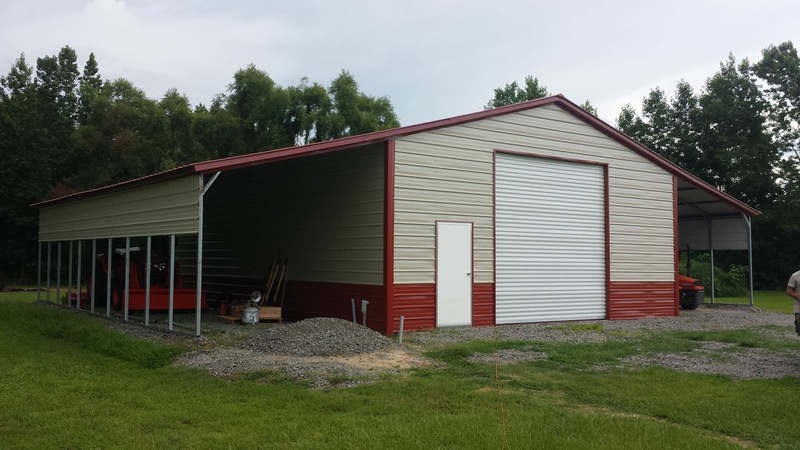 We will work with you to make sure that your new metal carport will offer the functionality you seek while providing excellent aesthetics as well. Check out a few of the things you should consider as you go about customizing your metal carport. What do I plan to use my carport for? The way you use your metal carport will play a huge role in how you build it. 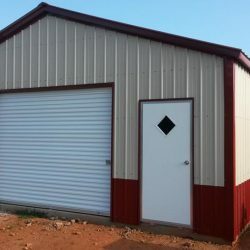 For example, if you plan to pull a tall piece of farm equipment under the carport, you will need to ensure that the structure’s height is adequate for your needs. Conversely, if you will be using the carport for protection against the elements as you work on projects outside, you might consider a little extra wall support. Spend some time considering exactly what the carport will be utilized for prior to making the purchase. What type of walls do I want? Side walls can be added to one or multiple sides, depending on where the carport will be located and what it will be used for. The walls can be custom made, but are typically three feet, extending from the roof, which offers minimal protection, but more protection than no walls. You can add full side walls to create an enclosure without fully closing in the space as well. Another option is to implement gabled ends. When you add gabled ends on your carport, it not only adds to the curb appeal but also adds support to your structure. Gabled ends are the triangular sections that extend from the roof and reach from wall to wall. The purpose is to help add support to the structure by attaching the side walls to each other, however, they certainly add an element of refined design to the building. What weather will this structure face? At Wholesale Direct Carports, we offer a few different options on the materials utilized for the build. Depending on the type of weather your carport will face, you might need to upgrade the roofing materials. Different styles of roofs will also handle different weather better. For example, in an area where heavy snowfall or rainfall is a concern, a vertical style roof might be ideal. As you talk to our team about your metal carport, bring up any weathering concerns you might have. Do I need a specific color scheme? When you think of a metal carport, do you imagine a heavy-duty, not particularly beautiful structure? 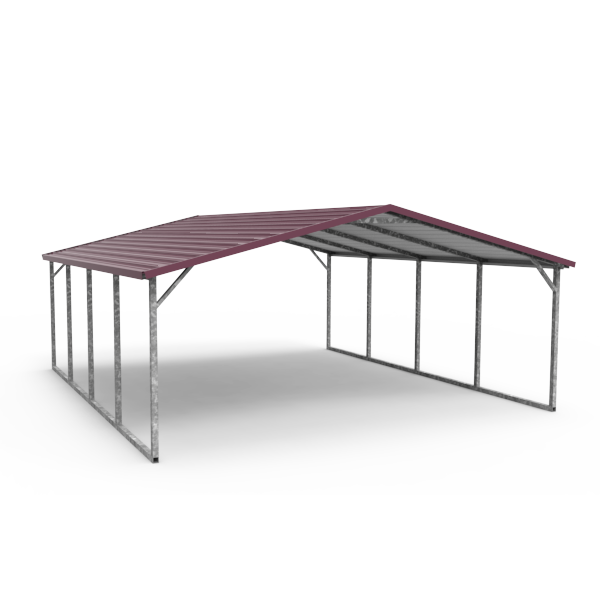 If so, you’ll be pleasantly surprised by the structures we design at Wholesale Direct Carports. We can work with you to match an existing color scheme or to choose from our outstanding color options. A metal carport doesn’t need to be an eye-sore. It can, in fact, contribute to the style of your property. 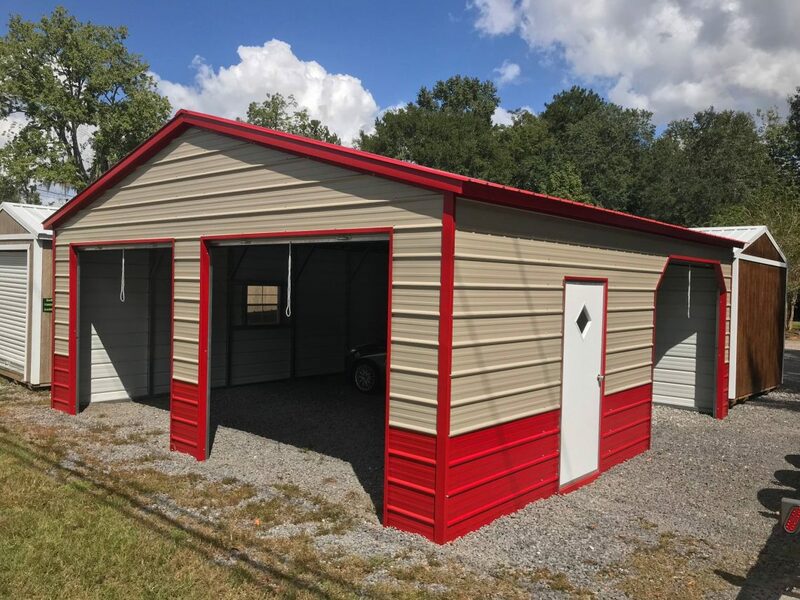 If you have been wanting to invest in a new carport but the idea of a one-size-fits-all approach has dissuaded you, we invite you to check out the vast array of customizable options we provide for lean-tos. 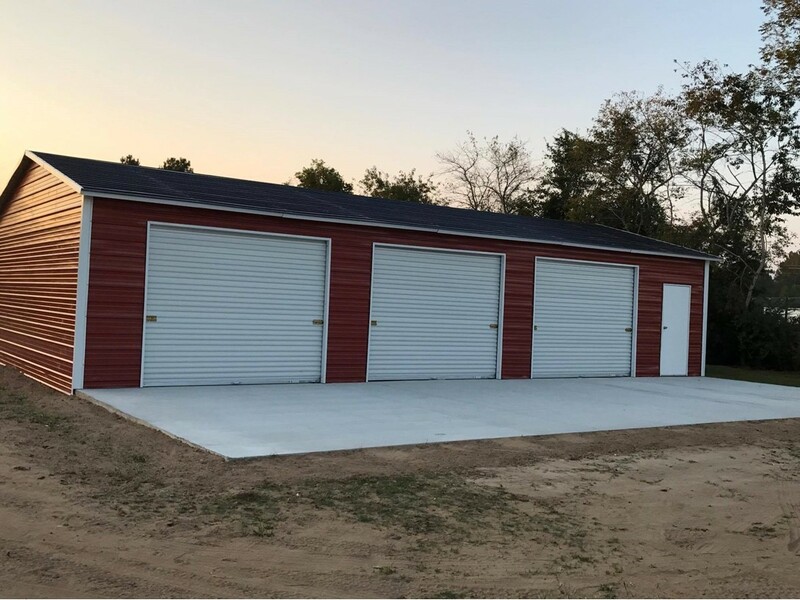 Whether you need just a little extra space or you opt to pair a new carport with a new custom metal garage, we can help you choose the ideal fit for your property. Ready to design the perfect metal carport? Customize a metal carport with ease! At Wholesale Direct Carports, we don’t think it should be difficult to customize your metal carport. We want the design process to be simple and for you to feel 100 percent satisfied with the end result. We work closely with our clients, every step of the way, ensuring that it is easy to find the perfect metal carport for any specific need. 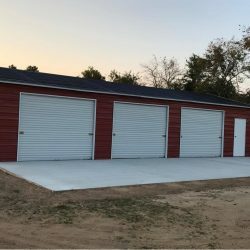 Whether you are looking to expand the space you can store heavy equipment or you just want a place to park your car, we will help you find the right metal carport for your situation. Check out the four easy steps involved in designing your metal carport with our team. You contact our team! We provide you with a custom no-obligation quote. We help you customize your metal carport to meet your specific needs. We prefabricate the carport and it is shipped to your location. The carport arrives and it can be quickly and easily installed. It really is that simple! Not only will you love how fast the process is from the moment you contact us to the final delivery of your product, but you will also appreciate how simple it is to install our carports. 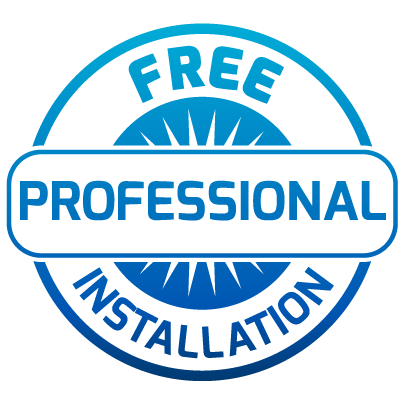 If you live in one of our select service areas, you could also qualify for free professional installation services. To learn more about how you can get started, give our team a call. When it comes to purchasing a new metal carport, not all structures are the same. In fact, many companies will simply ship you a product that isn’t necessarily the perfect fit for you because they don’t offer any type of customization. Here at Wholesale Direct Carports, we don’t like that approach. We think it works way better when we allow our customers to pick out the exact aspects they need to create the perfect structure. The end result is that our clients are happy with what they receive and get to enjoy a quality design for years to come. When you choose to purchase a custom metal carport from our team, you are choosing premium quality at excellent pricing. We pass on as many savings as possible to you without sacrificing an iota of quality. Check out the numerous ways you will benefit from your new custom metal carport below. The standard roof style is the traditional metal carport style roof with rounded corners and horizontal galvanized steel roof panels. This is the most “basic” of our roof designs and easily connects to metal wall panels. Typically, this style is the most economical and affordable product. The vertical style roof is styled the same as the box-eave style, but just as the name suggests, the panels are vertical rather than horizontal. The vertical paneling allows rain and snow to slide right off the roof and is more ideal for climates with heavy precipitation. 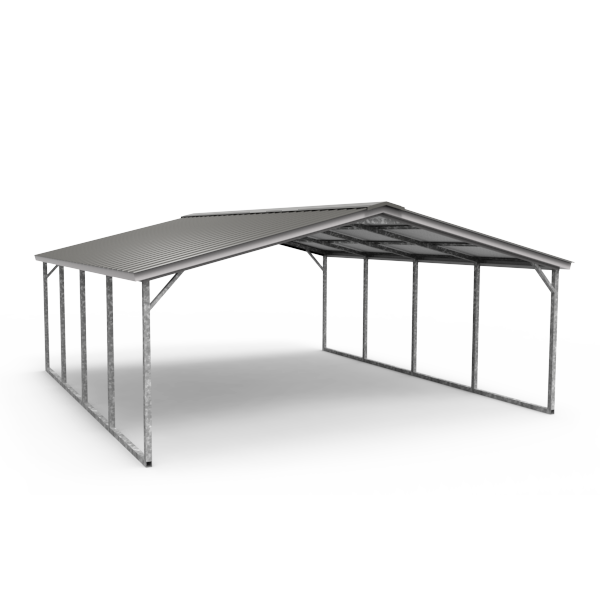 For those who need a metal carport roof that can truly handle it all, this is a must. When it comes to building a custom metal carport with Wholesale Direct Carports, you get to customize an array of details. From the color scheme to the addition of other structures, you can make the most of your investment. Check out some of the extra customizations you can make on your metal carport. Partial Walls, Full Walls, And No Walls: Do you want a little extra protection from the elements? Partial walls on your metal carport might do the trick. Are you looking for a bit more enclosure? Full walls on certain sides might be right for you. Perhaps you want no walls, just a simple and basic carport. We can make it happen! Added Structure: Would you like your carport to back up to a small shed? Perhaps you envision a three-car structure? 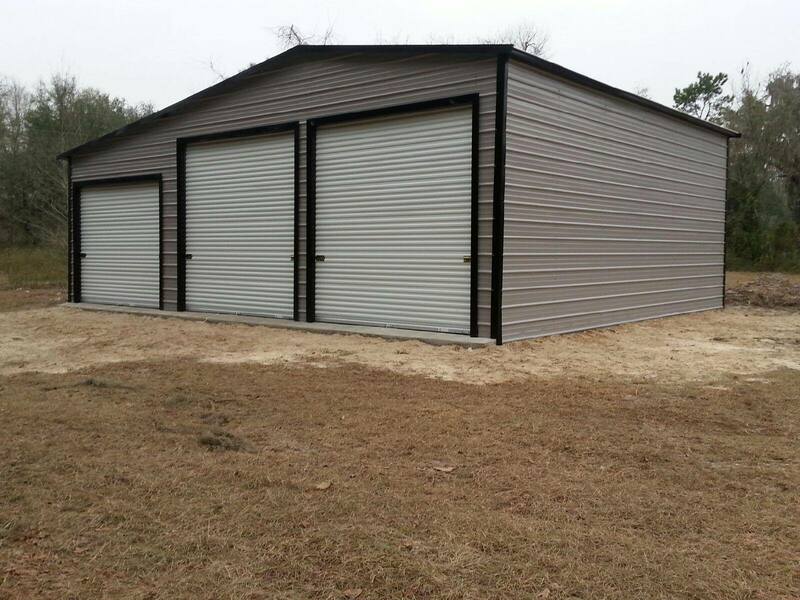 Whatever the case, we can add on to your metal carport and combine it with an array of other metal building options. 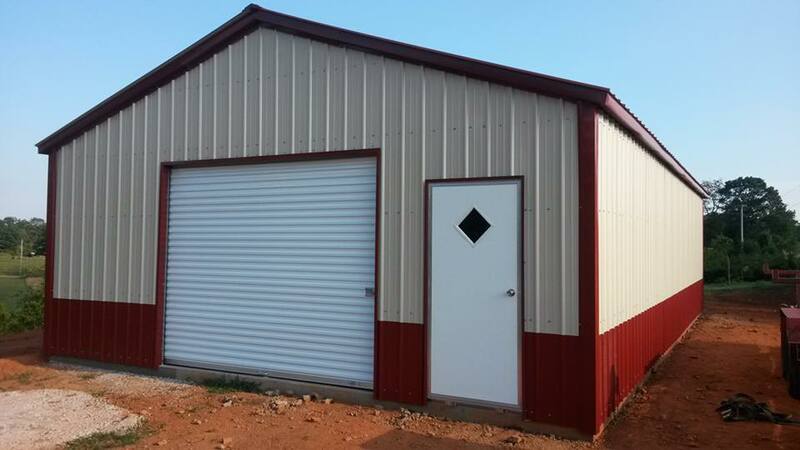 With our vast selection of custom metal buildings, you can design exactly what you want. Colors: Are you worried about having a big old ugly metal building on your property? Put those fears to rest! We let you customize the color scheme of your metal carport. The end result is that you can actually match it to the style of other nearby buildings. Check out the array of color choices we offer or talk to us about color matching. 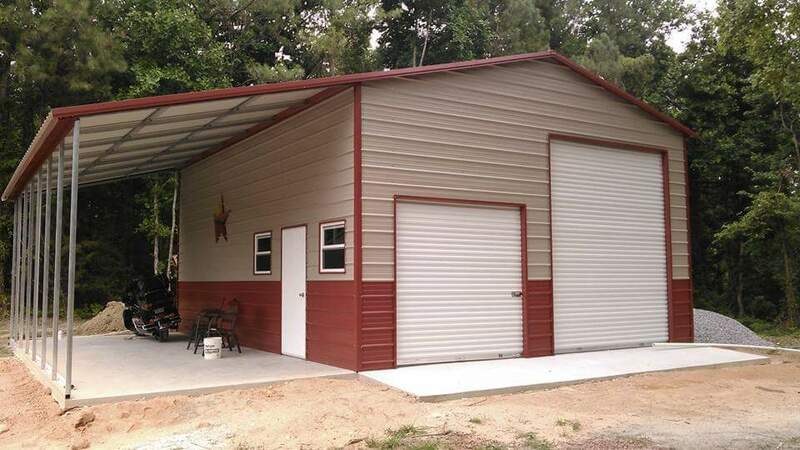 What Can I Use My Metal Carport For? A metal carport can be utilized for far more than just parking your car out of the rain. In fact, metal carports are one of the most versatile structures you can build. With their simple but useful design, they are a great choice for an array of situations. 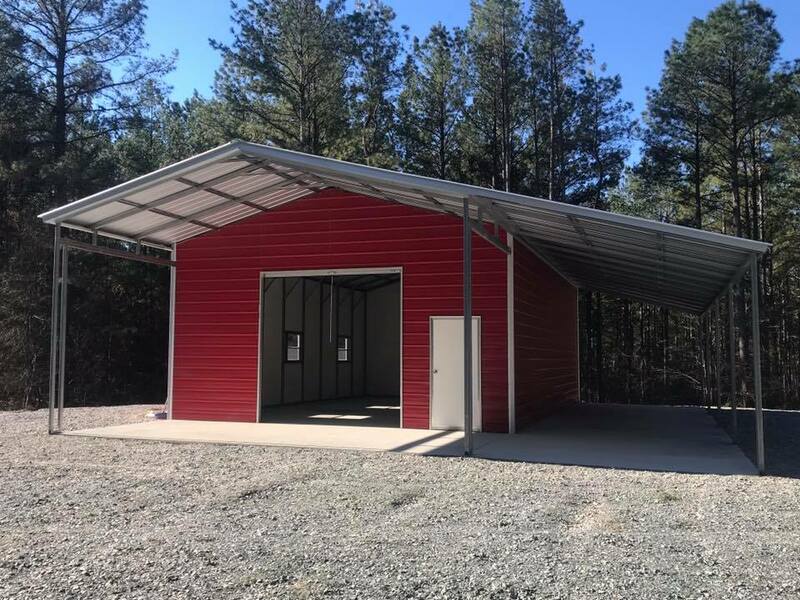 Whether you operate a busy farm or you have a simple plot of land for your home, a metal carport can help utilize your existing space in a much better way. Check out some of the most common uses for metal carports and talk to our team about how you can implement one for your property. When someone pulls up to your property, do they look around and see piles of clutter all over? A carport can be a great way to put this to an end. Dedicate your new metal carport to being a place to keep things organized and out of the rain. By getting rid of clutter that is strewn around your property, you can improve the appeal of the entire place. 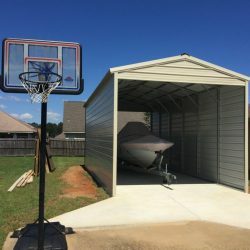 From kayaks to fishing boats to ATVs, a carport can serve as a great location to store these items out of the elements. By keeping snow, rain, and sleet off of your recreational toys, you can help them last longer and require fewer repairs. Do you like to do a little bit of carpentry work? Perhaps you are busy rebuilding a classic car. 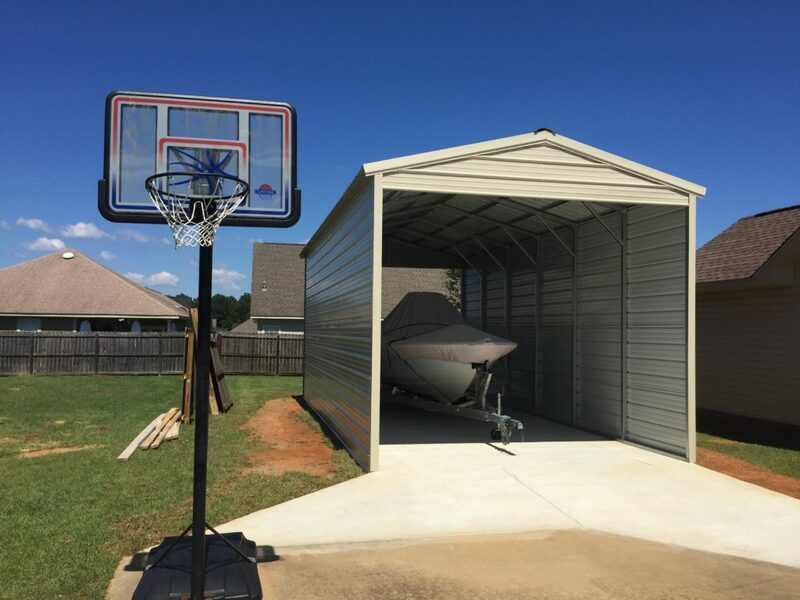 Whatever the situation, being able to work on projects under the protection of a carport can be a true relief. Keep the rain and snow off of you and off of your work. A metal carport can act as the perfect location to enjoy just enough of the great outdoors without too much. Sometimes, when you try to fit all your vehicles and all your extra belongings into your garage, there just isn’t enough space. The end result can be a jam-packed garage where nothing is easy to access. 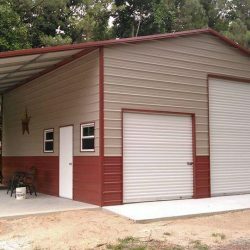 Rather than building another garage or shed, you can quickly put up an affordable metal carport to help alleviate space. Perhaps your older car would do just as fine under a carport, allowing you to free up lots of space in your garage for other things. As you can see, there are countless reasons to add a metal carport to your property. Get a free quote today and enjoy the addition of protected space. Thinking of choosing our team for your next metal carport build? 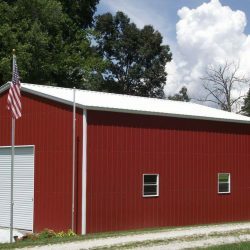 We would be honored to be your go-to choice for custom metal buildings. As you go about the process of deciding on a metal carport, we know that you want to find a high-quality product at an excellent price. Here at Wholesale Direct Carports, that’s exactly what we provide. Check out a few of the reasons why we are the team to choose. Tired of looking around for the best manufacturing for your custom metal carport? We took care of the hard work for you. 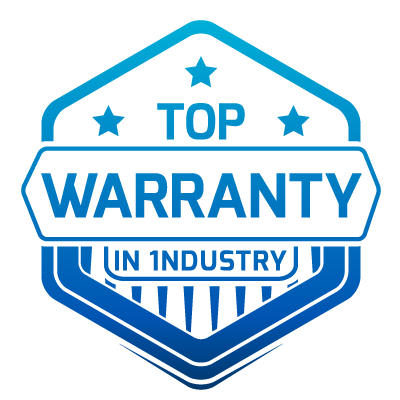 We only work with the top manufacturers in the industry and we pass wholesale savings on to you. Depending on where you live, you might be eligible for our unique rent-to-own financing options. We make it easy for you to afford the metal carport of your dreams. You should also be the priority. At Wholesale Direct Carports, we make sure that the needs of our customers always come first. 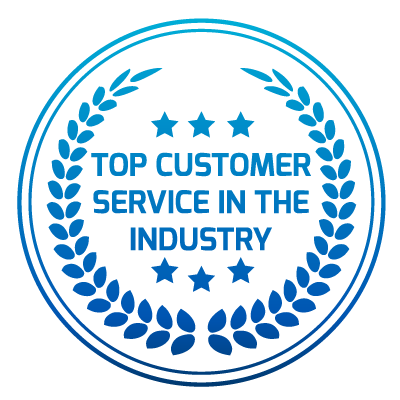 You can count on us for quality customer support from the first moment you contact us to the final delivery of your metal carport.